The Insect and Mite sections of the UC IPM Pest Management Guidelines for Dry Beans have been recently revised and updated and are now available online at: UC IPM Dry Beans Pest Management Guidelines. 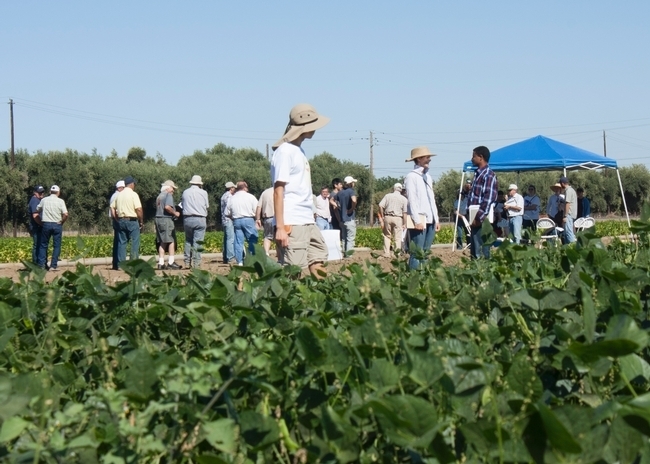 Authors include UCCE Farm Advisor Rachael Long and UC IPM Advisor Pete Goodell (emeritus). 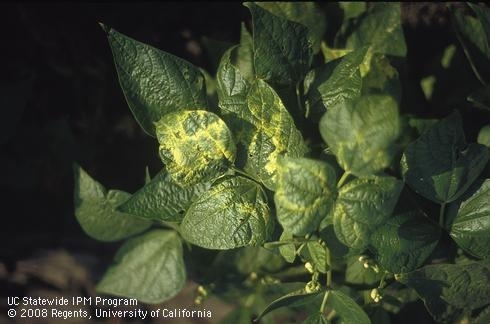 The guidelines include an updated photo page to help identify pests and the damage they cause to dry beans at: Photo Identification. These guidelines can help with managing pests in your fields. 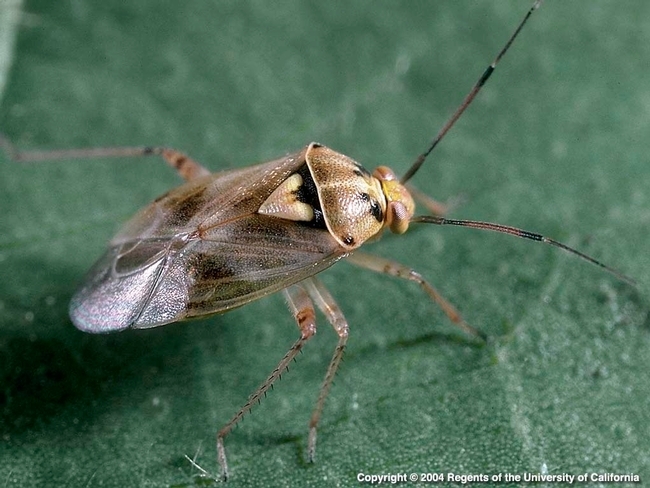 Interested in Lygus bugs and how to control them? Take a look at the guidelines on lygus and see that the thresholds vary by bean class and type. For example, blackeye beans (cowpeas) have different tolerance levels to lygus than lima beans. Some lima bean varieties are more tolerant to lygus than others. Interested in biocontrol of aphids? See photos of natural enemies that prey on aphids at: Photos to identify natural enemies of aphids. There is also a newly revised table on the relative toxicities of insecticides and miticides to natural enemies and honey bees in dry bean production, found at: Insecticide Toxicities. This information and much more is available through the newly revised 2018 UC IPM Dry Bean guidelines! This follows the recent revision of diseases and abiotic disorders in dry beans. The weed management section is currently in review and will be available later this year. Adult Lygus bug, a key pest of dry beans. 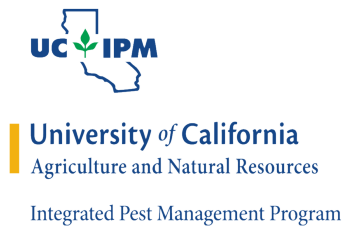 The newly revised UC IPM guidelines include updated information on how to manage this pest. Directions: In the field across from the UC Davis Bee Biology Lab (same place as previous years). From Hwy 113 in Davis, exit on Hutchison Dr. Go west, turn north at the first roundabout, then west at the second roundabout. Continue west on Hutchison Dr for about 1 mile. Turn south on Hopkins Lane (look for a row of olive trees), make your first left, and park under the trees. For questions, contact Rachael Long at 530-666-8143. No RSVP needed. 10:05 UC Dry Bean Blog and IPM update, Sarah Light, Farm Advisor, Sutter-Yuba Co.
10:55 Cowpea herbicide trial, Dr. Mariano Galla, Farm Advisor Glenn Co.
11:10 Bean seed moisture and quality at harvest, Rachael Long, Farm Advisor Yolo Co.